Austin is home to entrepreneurs of all sorts, making the city a melting pot with variety of businesses and products celebrated across the country. Shopping local is what helps Austin economy thrive, so we've handpicked some of Austin's staples and newcomers that represent the best of products made in Austin. Established in 1984, Amy's Ice Creams prides itself on their handcrafted, artisanal ice cream, dairy-free fruit ices, and frozen yogurt, making it quite the hub for those with a sweet tooth. Because of the hype, Amy’s has spread to San Antonio, Houston, and now Smithville, IN. The Drafthouse originally started inside of a nondescript parking garage, but this unique movie watching experience captured the hearts of locals and the eyes of major producers. The theater hosts annual movie marathons as well as screening of out-of-print films. Adapting with the times, the Drafthouse now serves beer and has a large food selection, giving you the full moviegoer experience. Austin Eastciders Collaboratory brews Original, Pineapple, Hopped, Texas Honey, Blood Orange, and Ruby Red Grapefruit-flavored ciders. This wide array of ciders keeps cider-heads coming back for more! Deep Eddy Vodka was founded in 2011 as a local distillery, which instantly grew to be a hit after the creation of Sweet Tea Vodka. Dripping Springs is home to the distillery, column distilling their vodka 10 times in order to produce a pure, smooth product. Family-owned and operated, Good Flow Honey began in the 70s, priding themselves on producing 100% pure table grade honey. Specializing in Wildflower, Clover, and Orange Blossom honey, Good Flow also offers honey in the raw. 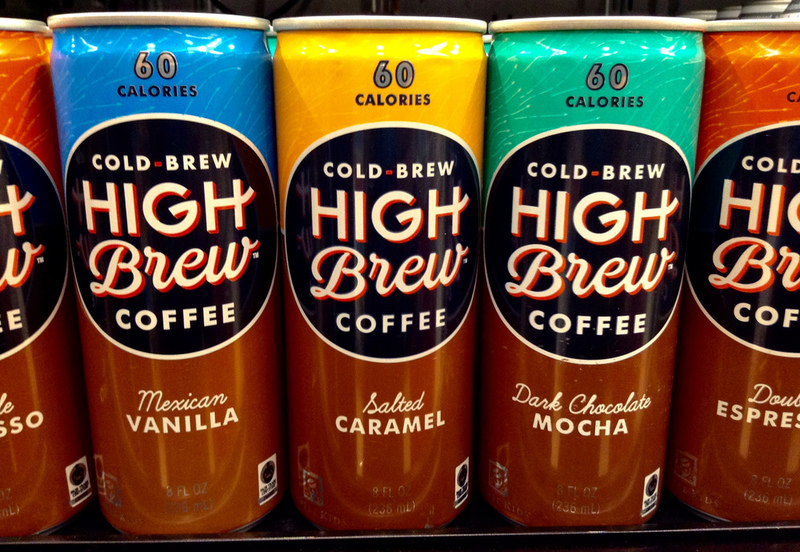 Not even a decade old, High Brew Coffee has introduced a gourmet cold brew that's "simple and strong but never bitter" to Austin. The co-founder of Austin favorite Sweet Leaf Tea, David Smith launched High Brew Coffee in 2013 after selling his share of Sweet Leaf Tea and dug into the world cold brews. Flavors include Mexican Vanilla, Salted Caramel, and Double Espresso, and this Austin-made product can be found in stores across the country. This brewing company began in 1997 and quickly became a household name in the city, becoming Austin's front-runner for craft beer with a number awards under their belt. Live Oak Beer brews up award-winning Hefeweizen, Pilz, IPA, and much more. Texas Saké Company is best known for brewing craft saké in small batches using centuries-old techniques, producing bold and crisp flavors. They hosts tastings and tours of their facility on the hour at 7:00 p.m., 8:00 p.m., and 9:00 pm on Fridays and Saturdays. With a spike in sparkling water on the market as of late, Waterloo hit the Austin scene late last year and became a huge hit. Waterloo offers flavors including Black Cherry, Grapefruit, Watermelon, Coconut, Lime, Lemon, and Original. If it’s going to come from Austin, it is going to pack a punch! Yellowbird’s spicy condiments are flavor-forward with a thicker, smoother consistency packed with real, farm-fresh fruits and vegetables. Which one of these is your favorite product made in Austin? Let us know in the comments below! For more business in Austin, register on 512area, your free guide to everything in the Austin area.